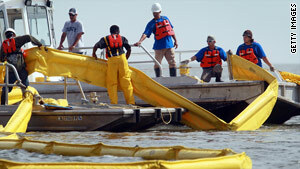 Workers lay down boom in Pascagoula, Mississippi, to keep the oil spill from the Gulf of Mexico from washing ashore. Washington (CNN) -- The State Department has refused to provide details of which countries have offered assistance with the oil spill off the Louisiana coast. State Department spokesman P.J. Crowley said Tuesday that 12 countries and international organizations had offered to help but would not provide details. "One more time. Do we know who the 12 are? We do," Crowley said at a briefing. "Are we going to announce them publicly? We're not." 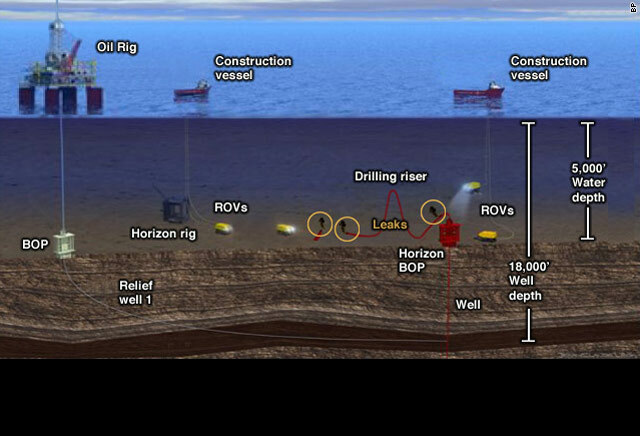 Iranian media reported that the country's National Iranian Drilling Co. offered to provide experts to advise how best to cope with the spill. But Crowley said he was "not aware" of the United States receiving an offer from Iran. "I can't start down that road. I'm not aware of one, but I'm not going to get into who the 12 are," Crowley said. But he offered no explanation, saying the United States would make an announcement only if it accepted an offer from a particular country. The spokesman said the department was passing along assistance offers to the U.S. Coast Guard. A Coast Guard official at the Joint Information Center said all questions about international assistance are being referred to the State Department. In the aftermath of Hurricane Katrina and the devastation of wide areas of New Orleans and the Gulf Coast, some countries reportedly felt their offers were ignored or mishandled, something the State Department hopes to avoid this time. "We are grateful for the offers of assistance that we have received. You know, we here at the State Department are maintaining a matrix of all offers of assistance. We're maintaining dialogue with each of those countries or organizations," Crowley said. "We're working very closely with [the Department of Homeland Security] and the Coast Guard to ascertain whether or not the offer of assistance is something that we need. And we will continue this dialogue internationally as we work through these issues," Crowley said.